The NKD Kitchen proposes a beautiful selection of locally sourced fare in a seasonally crafted menu in a secret location on 4th April 2019 in Bristol, UK. We offer a unique experience around delicious, health-conscious food. Throughout the menu, there are personal touches, which reflect the owners’ French and British heritage. Roland, a Bristol-born restauranteur who spent 15 years in restaurants across the world and has been trained by some of the best in the industry. 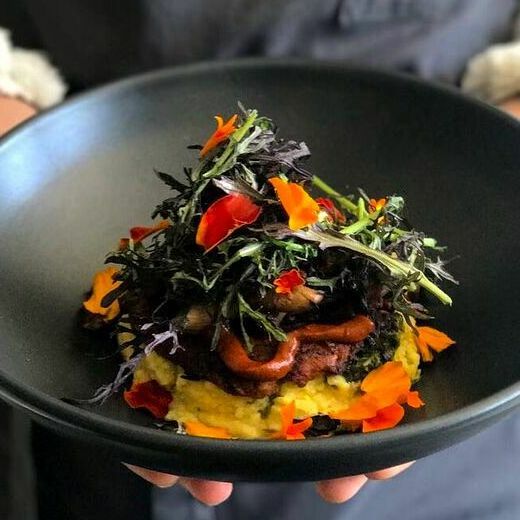 The NKD Kitchen offers a plant-based menu that is fresh, seasonal and elegant. Delight in a six-course tasting menu and enjoy an intimate dining experience. With a glass of NKD champagne to start and homemade chocolates to end.